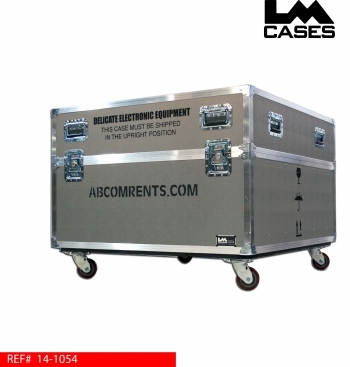 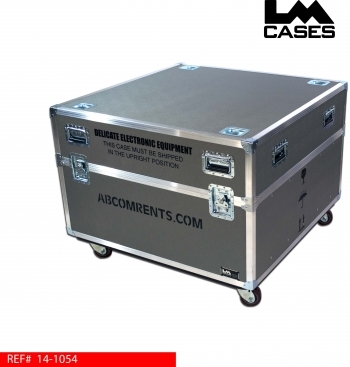 This case was designed for ABCOM to carry 5 NEC x463UN video wall monitors. 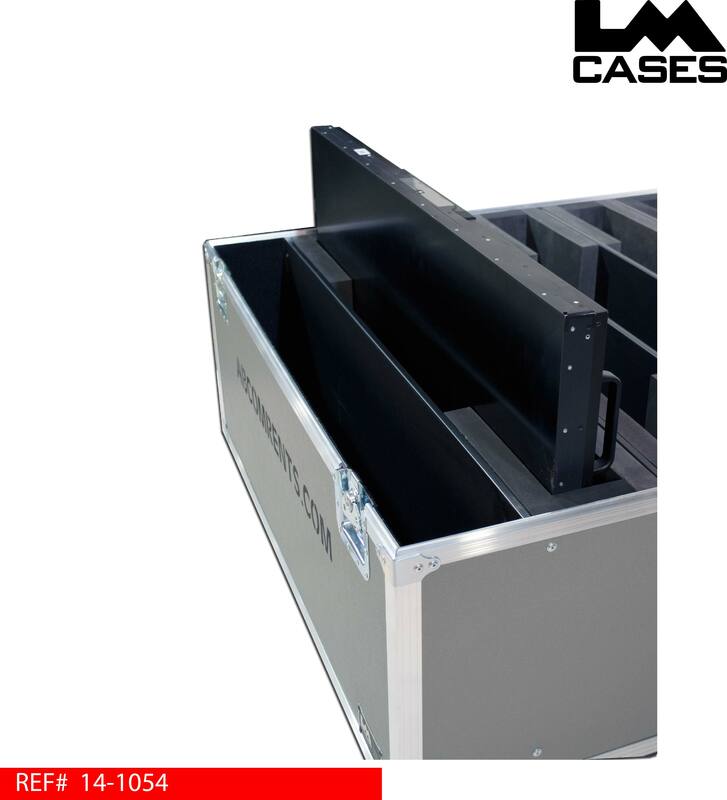 Each monitor is held in a custom compartment lined with 1.5" Crosslink foam. Crosslink foam features a Class A surface that wont scratch the delicate monitor faces. The compartments hold the bottom 2/3 of the monitor allowing easy access to the handles on the rear of the units for easy removal. 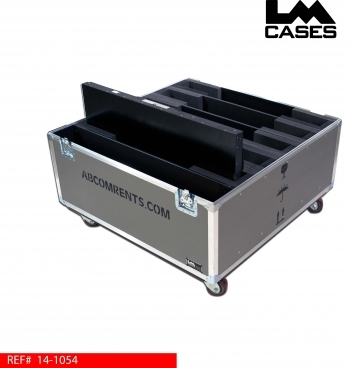 A 7" accessory compartment is also included for cords and other peripherals. The exterior case is built out of 3/8" plywood laminated with silver ABS plastic and features international shipping symbol silkscreens, a stencil stating the ABCOM web address, stacking caster wells, deep recessed handles and Colson 4" x 2" HD casters. The OD width and depth of the case is 45" x 45" for a half pack configuration in a 90" truck.